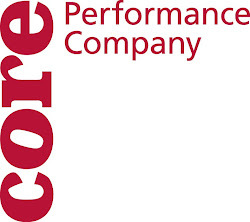 CORE Performance Company: Art March and why? The arts! Do we need them? Are they worth investing money in? Some people seem to think that the arts are expendable but what's art worth to you? In America, worth equals value and everything thing of value can be bought. It has a monetary worth. When worth is priceless and bountiful with its gifts, what do you as a citizen do? Do you stand in line and wait for the hand outs of a nation with fading interests or do you get out of line and stand up for what is necessary and true. 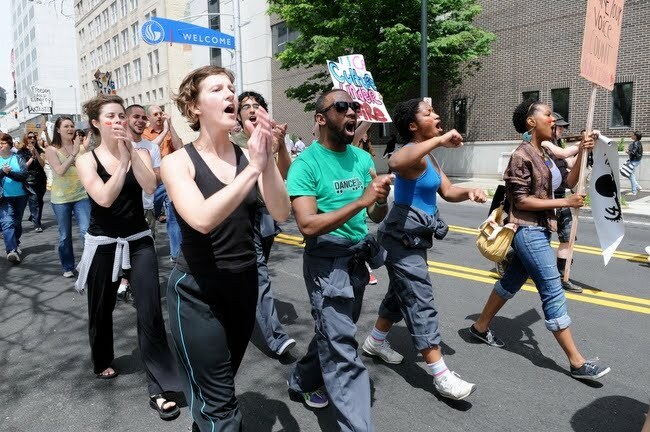 This past Monday, Core Performance Company hit the streets of Atlanta Ga. Along with several hundred artists, Core marched from the Rialto to the steps of the Capitol in protest. The House voted to reduce the funding for the Georgia Council of the Arts to $0. The Senate vote to overturn the decision was quickly approaching, so the arts community of Georgia had to act fast. The beauty of every individual in the crowd was overwhelmingly breathtaking. We are not a people of violence, but on that Monday our presence could not be silenced and our voices were in agreement. As we stepped down from the sidewalk onto the car filled street, it hit me. While chanting, "Save the arts. Save the arts!" with hundreds of men, women and children resembling a United Colors of Benetton add, it hit me. In that moment, I realized marching was not about me. Marching was not even about the other people marching. The scope of us artists meeting at 1:00 in the afternoon on this very Monday expanded long and deep like the Mississippi. Our goal was Georgia, but our nation and our nations children were at stake. The question is simple. Why choose art? Art does make for a more well rounded culture. Some would even argue civilized. On a deeper level, art breeds and nurtures creativity. That is what America is based upon. Thinking outside of the box,taking chances and not being afraid to be different. That is what our forefathers set out to accomplish when establishing America. There are those of us who are artists. We choose the life of a bohemian. We choose to be broke. We take all of the pennies we can get. When all funding for art is cut, it is a direct blow to the way I live my life. The person that I am. Without artists and without Art, that boy who took drawing in elementary would have not had the opportunity to become that famous architect. That girl who took voice lessons growing up, would not be a top record executive. Yes, art enhances the lives of artists and the lives people who pay to go enjoy them. But the necessity for art is just that; a necessity. We need art to live. We do not need it to breathe, but that is the beauty of it all. We need art to progress as a country. All ideas are born out of creativity. Creativity is the core principle of art. Therefore arts serves society in so many ways that are tangible and intangible. Just thought I would throw that out there!